Boxing is a fickle game and as quickly as it can rise a pugilist up it can also bring them down. 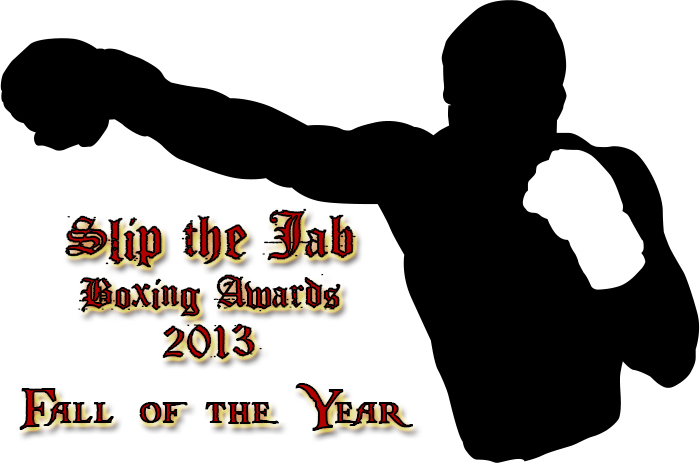 This unwanted award if for the boxers who wish 2013 had never happened. They started the year well respected in their field and ended it broken and lost. 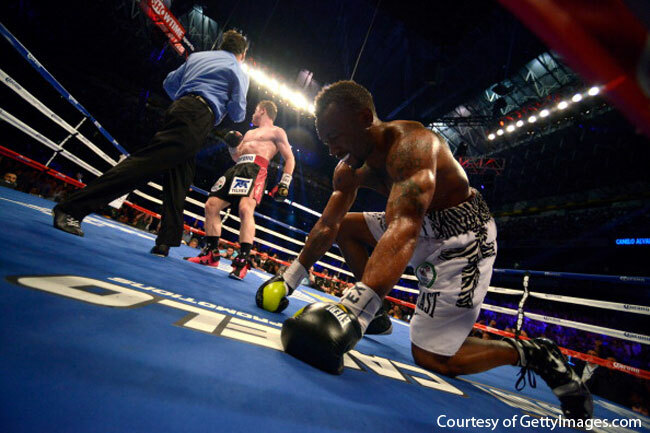 2012 was the best year of Austin Trout’s career. Prior to that… despite having won and twice defended the WBA 154lbs belt in 2011… he was virtually an unknown, unable to get on TV and with only the most dedicated fans checking his results let alone actually watching his matches. The tall, awkward southpaw appeared to be the definition of an avoided fighter; one who was too good for his own good, too dangerous for the rewards he offered. But 2012 changed that; a connection with the infamous Al Haymon opened televised doors in the US and while his victory over Delvin Rodriguez was not any fun to watch his next bout, easily beating Miguel Cotto, announced Trout’s arrival not just in the elite 154lbs scene but as a viable commodity in boxing. Early in 2013 Trout received a silver ticket… not quite the gold ticket of facing Mayweather or Pacquiao but not far off. He would face Mexican superstar Saul Alvarez and many observors thought that Trout’s athletic and busy style would expose Canelo as a manufactured fighter who had feasted on substandard and undersized opposition. But it didn’t work out that way. While the 118-109 scorecard in Canelo’s favour was a farce (not helped by open scoring), Canelo still did more than enough to defeat Trout and set up his own superfight with Mayweather. Trout returned to take on Cuban stylist Erislandy Lara with many commentators again thinking that Trout’s combination of nous and awkwardness would bring him a victory over the often disinterested Cuban. Instead Trout was given a boxing lesson, unable to track down Lara and, when he did, dropped by the crafty amateur star and losing a wide decision. Trout entered the year as one of the top names in 154lbs and leaves it as a contender who some are starting to suggest was overhyped based on one match. At 28 he’s still in his prime and he will come again… but there’s no doubt he’s fallen a long way down the pecking order. Coming into 2013 the Liverpudlian Olympic Bronze medalist was on real run of form. Part of a talented crop of British heavyweights, many saw him as being better than either the unstable Dereck Chisora or the lumbering Tyson Fury. Price’s performances… a series of quick and devastating knockouts… gave them a good reason to believe this. To be fair, the likes of John McDermott, Sam Sexton, Audley Harrison and Matt Skelton aren’t filling many people’s list of top 10 heavyweights but Price knocked them out quickly and without much fuss. It seemed only a matter of time before Price’s power and deadly straight right hand brought him international recognition. But rather than his power that came to the fore it was Price’s reputation for a shoddy chin (earned in his amateur days) that made headlines as he was stopped twice by Tony Thompson. Now, Thompson is a good boxer and at the time his only losses in over a decade were to Wladimir Klitschko… but he was the wrong side of 40, hadn’t really beaten anyone of note in years and came into the first Price bout weighing 20lbs more than he had in his previous contest. But none of that preventing him landing a chopping right in the second round that knocked Price down and left him unstable and unable to continue. Price took the brave decision to immediately rematch Thompson… and again paid for it, dropping Thompson early but unable to finish and appearing to tire himself out going for the stoppage, finding himself hurt in the fourth and then trapped in the corner taking a beating in the fifth until the referee finally stepped in. The fact that his then promoter retired immediately after shows the devastating impact that had on his career. Price started the year looking to be one to watch at the elite heavyweight level. He ends it having to rebuild his career from the ashes. Frankly, Shane Mosely hasn’t really had a good year in quite a while… arguably since 2009 when he shockingly demolished the heavily favoured Antonio Margarito. And 2013 did include Mosley’s lone victory since that bout… so why does it count as a bad year? Because look at the boxers Mosley had been losing to. He’d lost to Mayweather, Pacquiao and Canelo… a pretty respectable list of opponents. And he’d had limited success in some of those bouts… he’d famously hurt Mayweather badly and neutered Paquiao’s offence (although offering little of his own). Yes 2013 brought a victory… but it brought a very narrow victory over the limited Pablo Cesar Cano. And it also brought a loss… and the first stoppage loss of Mosely’s career. 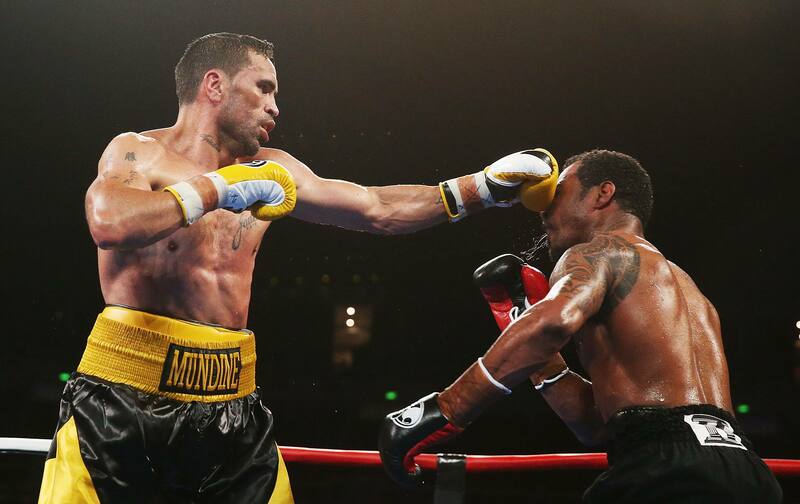 The buildup to Mosley’s bout with Australian pantomime villain Anthony Mundine was farcical enough but what happened in the ring turned a farce into a tragedy, with Mosley outclassed, outhustled and eventually quitting due to a back injury. Coming into 2013 we knew Mosley was past his best and hoped he would retire to protect his legacy. Leaving 2013 we know that Mosley is shot and hope he will retire to protect his health. 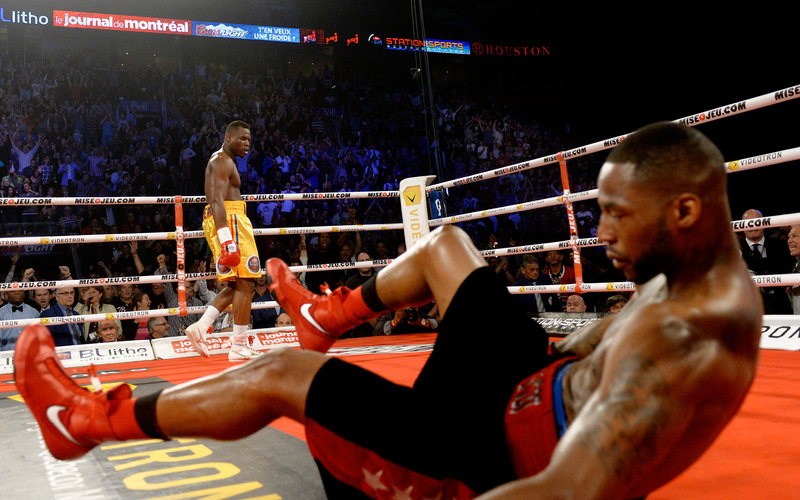 Chad Dawson hadn’t come into 2013 in great form. 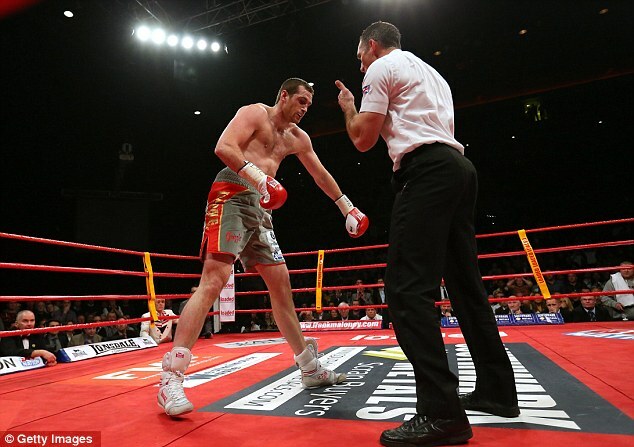 After all, he’d just been made a fool of by Andre Ward, dropped repeatedly and then stopped in a woeful performance. But there were excuses that could be made for that. Andre Ward is pound for pound one of the best boxers in the world and Dawson had to cut down to 168lbs to face him. Without being drained by the weight cut and safely back at 175lbs where he was still the RING champion, Dawson looked to rebuild himself in 2013 and regain some of the hype he had lost. Beating fringe 168lbs contender Adonis Stevenson appeared a good way to start. How did it end? Well, there’s a reason Chad Dawson’s on this list and Stevenson is a leading contender for “Rise of the Year”. Dawson wasn’t just beaten, he was smashed, knocked down by a single punch and unable to continue despite rising to his feet. It was a star making performance for Stevenson and raised awkward questions for Dawson about why it was that he only ever seemed to be able to beat boxers in or around their 40’s (Tarver, Johnson, Hopkins), in terrible form (Diaconu) or not that good to begin with (Mendoza, Ruiz). Dawson’s spent much of his career being promoted by networks who saw him as the next superstar in boxing and by all accounts has an attitude to match (saying he had to google Stevenson to find out who he is and viewing the bout as a warm-up for a rematch with Pascal are simple examples) but has never been able to produce the performances, viewers or money to back that up. Put simply, Dawson underwhelms at every opportunity… and if he wants to get back where he once was he has to hope he can impress in 2014. Let’s be honest. We all knew Brandon Rios was limited coming into 2013. He was a face-first brawler with little subtlety or nous and we’d seen those limitations exposed as he narrowly beat Richar Abril in an ugly, clinch heavy performance. But we also knew Rios was aggressive and relentless with an iron chin, sickening body work and an unbreakable will to win. When it was announced that he was to face Mike Alvarado in a rematch of their fight of the year contender most fans looked forward to the inevitable violence but couldn’t really see Rios losing; he’d simply hunt down Alvarado once more. As it turned out, that didn’t happen. 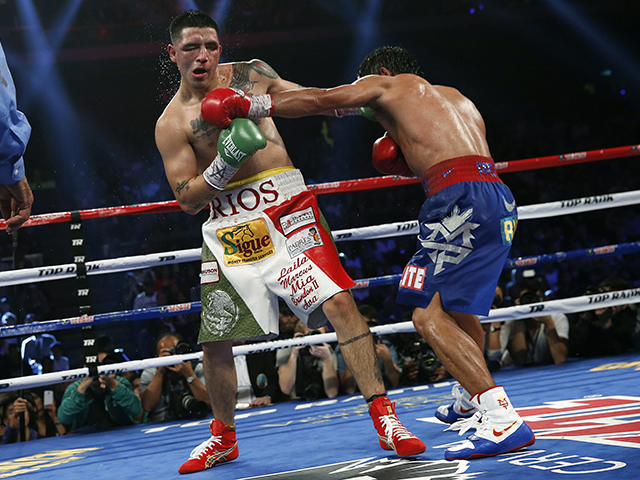 Alvarado showed a little movement and a little skill, doing enough to avoid Rios’ wild assaults and pick him off. It was still a fun bout to watch and Rios certainly had his moments but it was also a clear loss and a clear step back for him. When Rios was announced as Pacquiao’s come back opponent few gave him a chance. And in truth, we were right to, with Pacquiao completely outclassing him. Losing to Pacquiao doesn’t harm Rios’ reputation… but the manner of it does. We expected Rios to go all out for the win, charging Manny and giving his all. Instead he was tentative and hesitant, seemingly scared to engage (something he mentioned in post-fight interviews). And if Brandon Rios isn’t going all out for the win in a blood and thunder, “damn the torpedoes, full speed ahead” style, then what is the point of him and why are we watching? “Hawaiian Punch” has been inconsistent throughout his career but in 2011 and 2012 he finally seemed to be settling down and getting the results his talent deserved. After narrowly beating Julio Cesar Miranda to win the WBO flyweight belt he then went on a tear, stopping first the in-form Giovani Segura, then Omar Nino Romero and finally unifying by knocking out WBA Super champion Hernan Marquez. 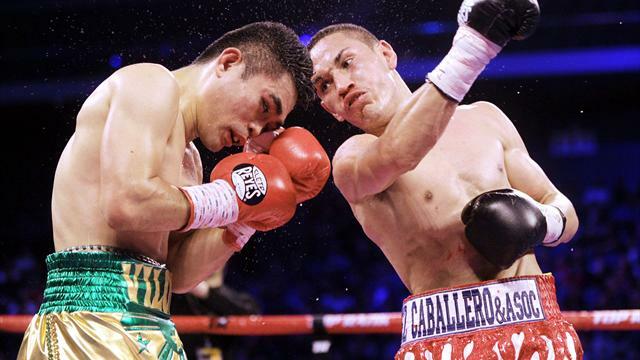 The bouts were exciting, Viloria was thrilling to watch and he was deservedly climbing up the pound for pound lists. When it was announced he was facing the unheralded Mexican Juan Francisco Estrada… a man with no significant wins, coming off a one-sided loss to Roman Gonzalez and having to moved up in weight most saw it as a keep busy bout for Vilora. Viloria looked good early, pressing Estrada back with hard, accurate punching but he started to take more and more shots to the body and faded as the bout entered the midpoint. Trapped in a brawl with Estrada he had no answers as the Mexican upped his workrate late on to take a deserved decision. Viloria is back where he was two years ago… a man with undoubted talent but with real questions about whether he has the dedication, mentality or consistency to make the most of it. David Haye: The Hayemaker didn’t box in 2013 but that didn’t stop him having an awful year. Originally scheduled for a domestic superfight with Tyson Fury I expected him to win, the bout was rescheduled following a cut to Haye. Then came news that Haye needed serious surgery on his shoulder and it appears his career may be over. Nathan Cleverly: The Welsh boxer’s reputation had gradually diminished over the years as he beat uninspiring contenders in underwhelming bouts despite frequently promising that he’d finally face a legitimate opponent “next time”. When he finally did he was broken and beaten in a handful of rounds by Kovalev. Ricky Burns: The 135lbs title holder had built a solid reputation off the back of good wins over Roman Martinez, Michael Katsidis, Paulus Moses and Kevin Mitchell. Having signed with Matchroom Sports it looked like Burns was going from strength to strength in his career. Instead he looked awful in defeated the limited Jose A Gonzalez and was incredibly lucky to get a home-town draw against gatekeeper Raymundo Beltran in a bout where he had his jaw broken. Burns is back in training and has a bout scheduled but his reputation has taken a real kicking over the year and we have to wait and see whether he’ll ever recover. Lamont Peterson: Peterson returned from suspension to struggle early before taking over late against a faded Kendall Holt but lost his most significant bout when he was crushed in three rounds under the iron fists of Lucas Martin Matthysse. Went from a durable and awkward champion to a mere contender. Adrien Broner: If you viewed Broner as the second coming and pound for pound talent already this was a disastrous year. If you viewed him as an intriguing prospect who had found a decent level of success but still had real questions to answer at 147lbs then it was still a disappointing year. He didn’t impress in beating Paulie Malignaggi and then saw himself beaten up by Maidana in the bout that was supposed to be the making of him. Broner needs to rebuild a career that has been high on promise and short on results. Chris John: Simpiwe Vetyeka is a good boxer and was on a decent run of form but what really hurts the long time WBA title holder John isn’t just the loss but the manner of it. His wild, sloppy performance brought memories of the latter days of both Ivan Calderon and Pongsaklek Wonjongkam… two other long time title holders who lost their belts and never looked the same. This entry was posted in Analysis, Boxing, Slip the Jab Boxing Awards, Slip the Jab Boxing Awards 2013 and tagged Adrien Broner, Austin Trout, Boxing End of Year Awards, Boxing End of Year Awards 2013, Brandon Rios, Brian Villoria, Chad Dawson, Chris John, David Haye, David Price, End of year Awards 2013, End of Year Wards, Fall of the Year, Lamont Peterson, Nathan Cleverly, Ricky Burns, Shane Mosely, Slip the Jab Awards, Slip the Jab Awards 2013 by consortium11. Bookmark the permalink. Picking the fall of the year is all about appraising how high they all got before, and how low they currently are. Trout was never a huge name and the Canlo fight was pretty close (I even scored it live 114-113 for Trout). Lara is a very talented boxer. I don’t think Trout fell hard. He’s a pretty good, akward LMW who happened to beat once a bored Miguel Cotto. To put it bluntly, Price had never beaten anybody worth mentionning before he faced a decent quadragenarian who whooped him twice. To me it’s not that big of a fall, it’s more of a plateau. I was sad to see Mosley lose his 0 (and by 0 I mean “KO/TKO losses”) in such circumstances, but the guy has been beaten up for years by any quality opponent he faced. You don’t fall hard if you were standing on the ground floor. Dawson is an interesting pick, but his downfall started when he got clowned by Ward in 2012. If anything he does deserve the sustained freefall award. As for Rios, he wasn’t expected to beat Pacquiao, and somehow his first bout with Alvarado made it clear that he was the least talented of the 2, and should have lost had Alvarado picked a sound strategy. I’d say Viloria ad John are the top contenders for this award, with Viloria deserving the nod because of the quality of the guys he recently beat (see : Segura vs Marquez) before deservedly losing to an unknown challenger.